If you are looking for car dealerships in Burlington that can offer you a wide selection of premium quality new and pre-owned vehicles, then you need to consider Budds’ BMW Oakville today! Budds’ BMW Oakville is located on the South Service Road in Oakville, which is easily accessible from the QEW at Bronte Road, so Burlington residents do not have to travel far. Budds’ BMW Oakville is very well known as being a provider of high quality BMW vehicles to residents in the Oakville area, and when you choose Budds’ BMW Oakville as your dealership of choice; you will not be disappointed with our selection. Car dealerships in Burlington may not have the selection of premium quality that you are looking for, and Budds’ BMW Oakville services many residents from Burlington and the surrounding area. It doesn’t matter if you are looking for a sedan, coupe, SUV, hybrid car, performance car, or luxury car, we have got the selection that you want, and we are very confident that you will be able to find what you are looking for with us! Along with our premium selection of high quality BMW vehicles, our dealership also takes great pride in our customer service. Our customers are treated like family when they step foot into our dealership, and our representatives are very professional and knowledgeable about everything to do with BMW vehicles. Feel free to ask our representatives any questions you would like regarding the BMW vehicle that you are looking at, and you can also set up a test drive with one of our representatives as well to get a better feel for the vehicle and really experience the exhilaration of performance. If you are looking for car dealerships in Burlington that can offer your world class customer service and a massive selection of new and pre-owned vehicles, and you don’t mind making the short trip into Oakville, then you should really consider Budds’ BMW Oakville. Budds’ BMW Oakville is a well-known dealerships that offers clients a massive selection of different types of BMW vehicles. Come into our dealership today and check it out for yourself! We have built our reputation by consistently providing quality service combined with a customer-centric approach to everything we do. We know that BMW owners take special pride in their vehicles, and we take equal pride in our service department’s high caliber of work. All of our service technicians at Budds’ BMW Oakville are extensively trained to ensure that they stay current with new BMW technology, and new procedures for maintenance and customer service. You can have peace of mind knowing that your BMW vehicle is in the best possible hands when you get it serviced at Budds’ BMW Oakville. 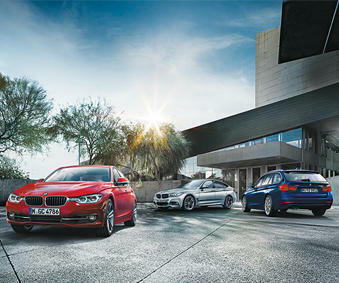 When you purchase a BMW vehicle from Budds’ BMW Oakville, you become part of our family, and we always put family first! For more information about car dealerships in Burlington, please feel free to continue browsing through our website at Budds’ BMW Oakville. We can also be reached via phone or email for further inquiries.